We're taking a break from interstellar battle for a slightly more down-to-earth tale featuring everyone's favorite insect-based superhero! 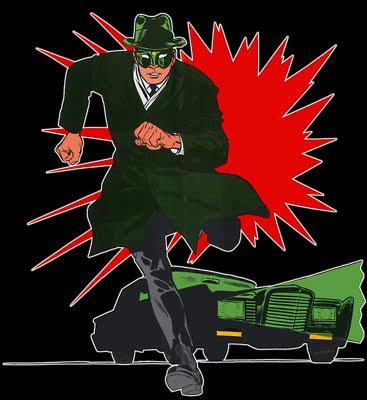 It's the Silver-Age Green Hornet (and Kato) from #2 of the short-lived Gold Key book based on the tv series! We'll find out where the light is coming from...tomorrow!